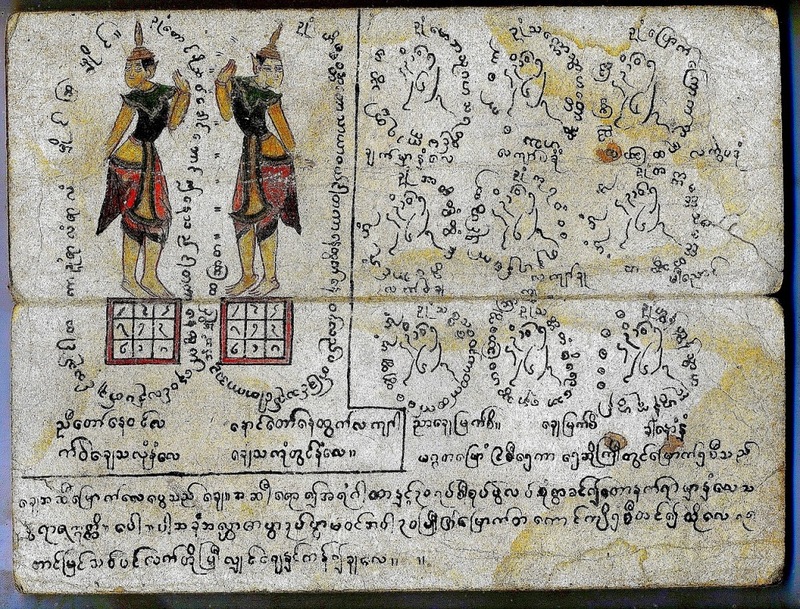 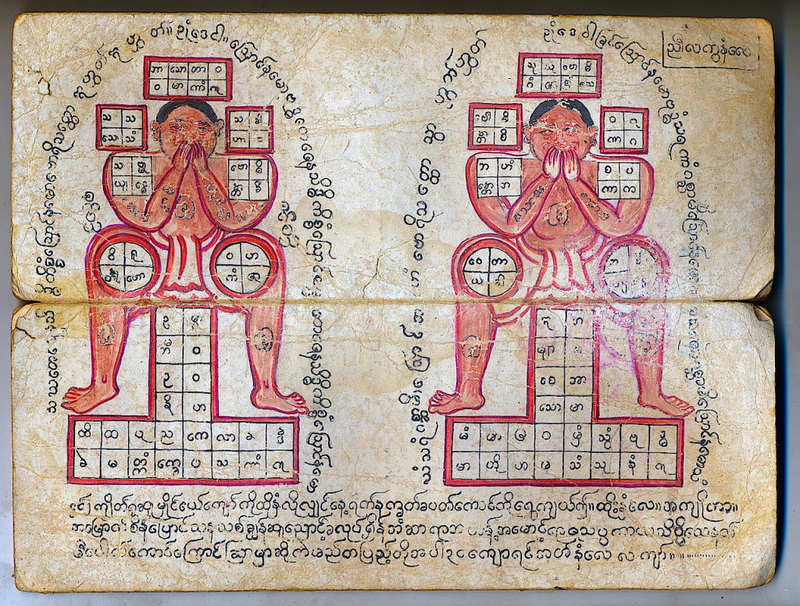 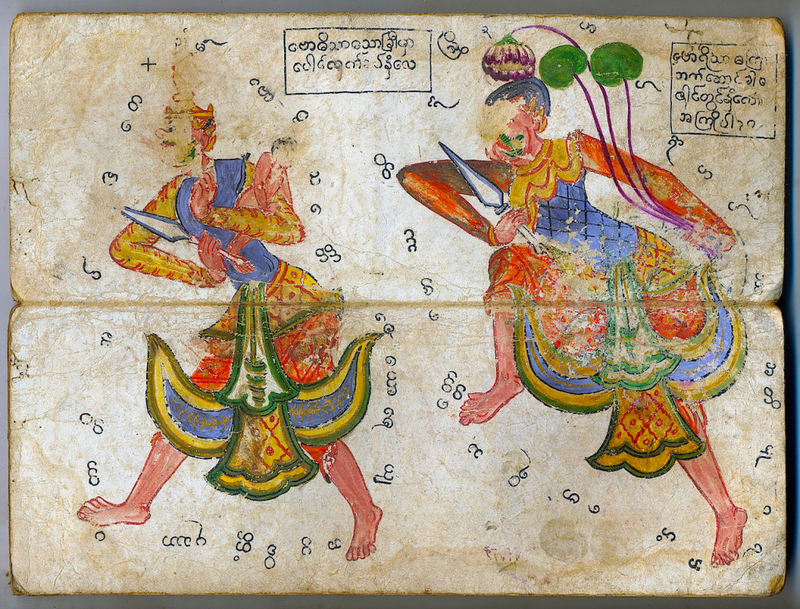 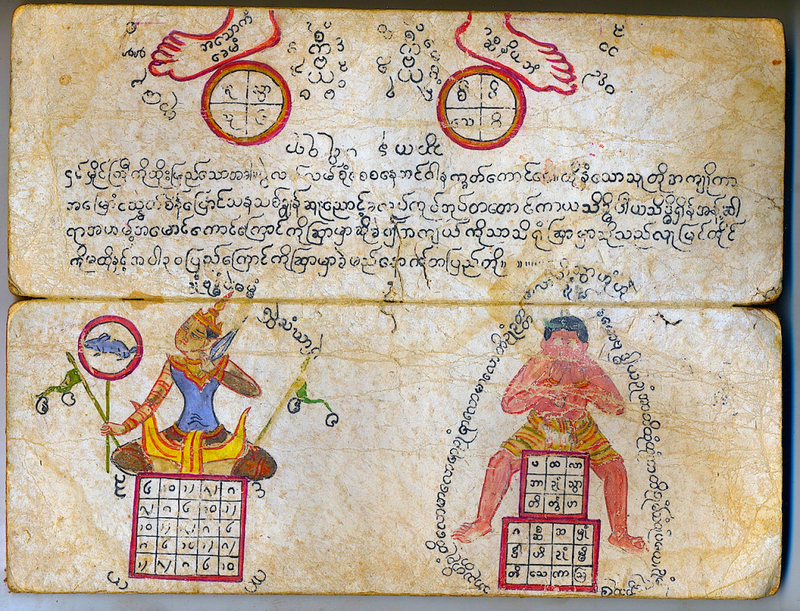 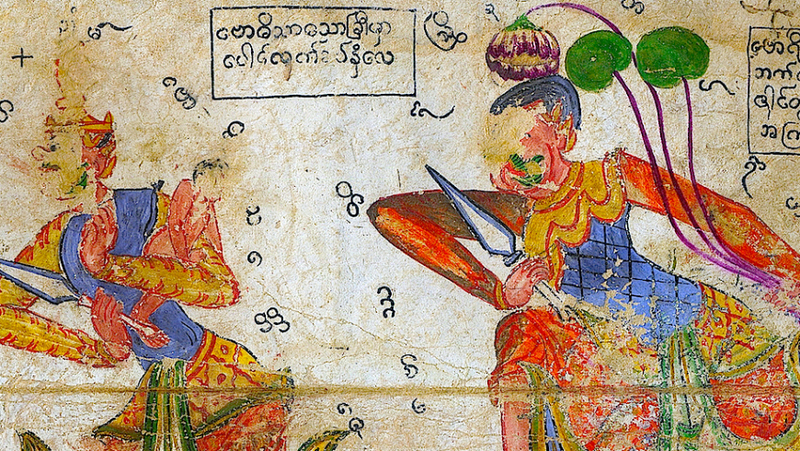 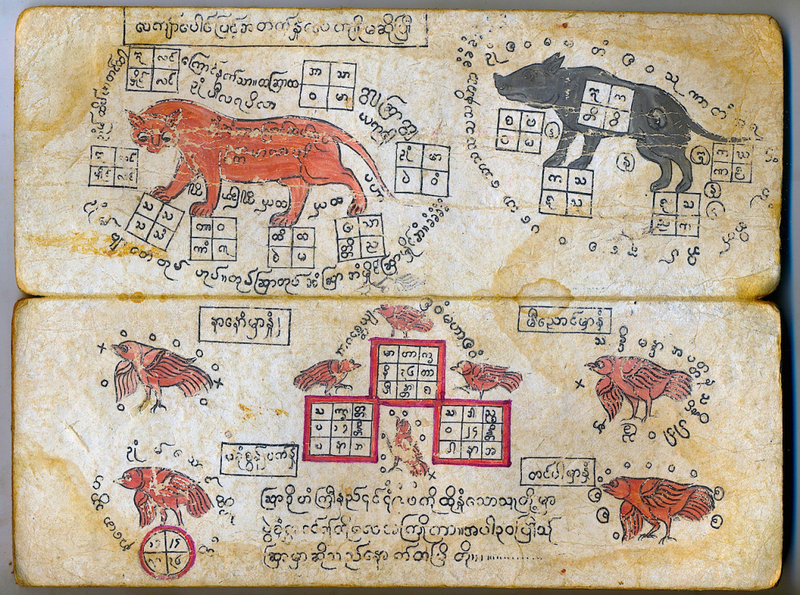 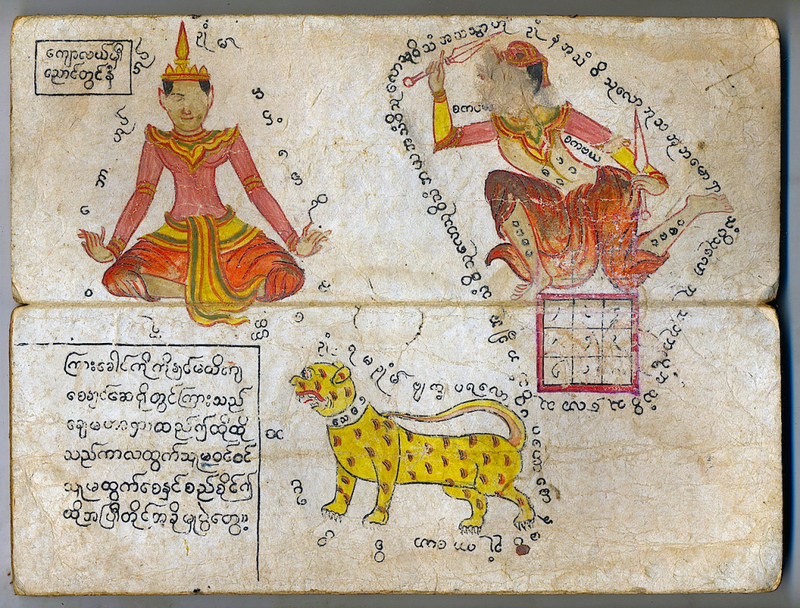 This is a typical white Parabaik, a Burmese manuscript made of mulberry bark paper folded as an accordion. 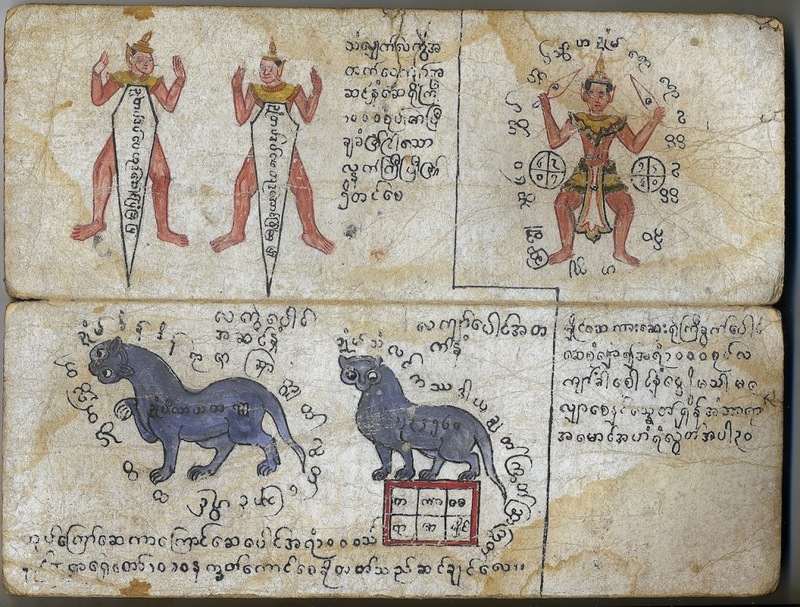 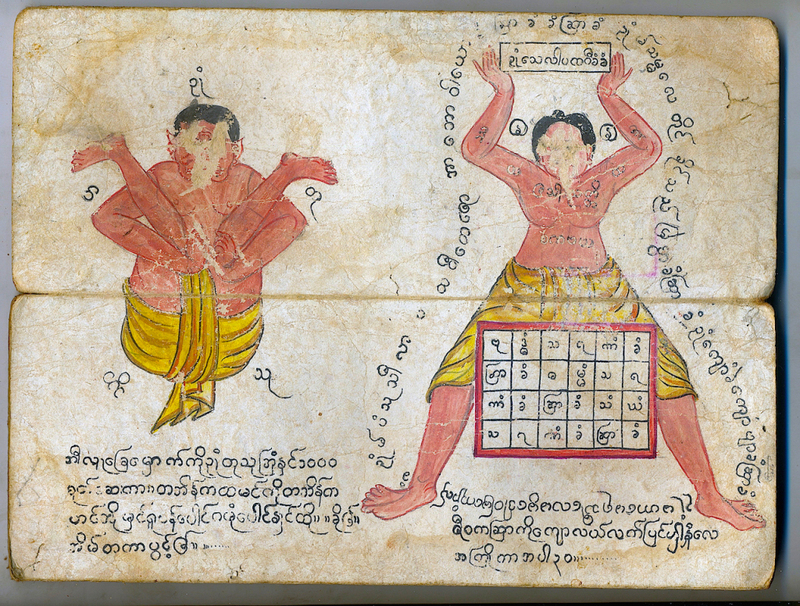 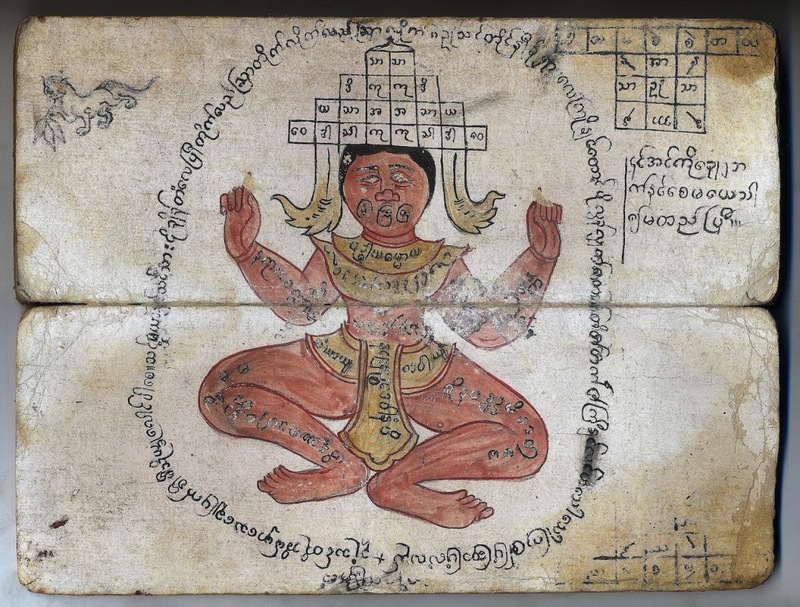 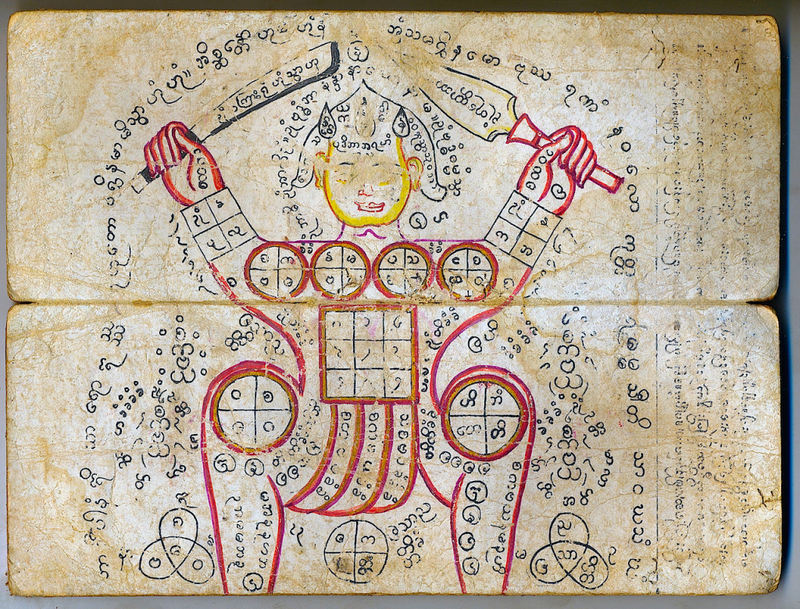 It is a manual of charms and spells with instructions for tattooing some of the specific parts of the body, e.g. 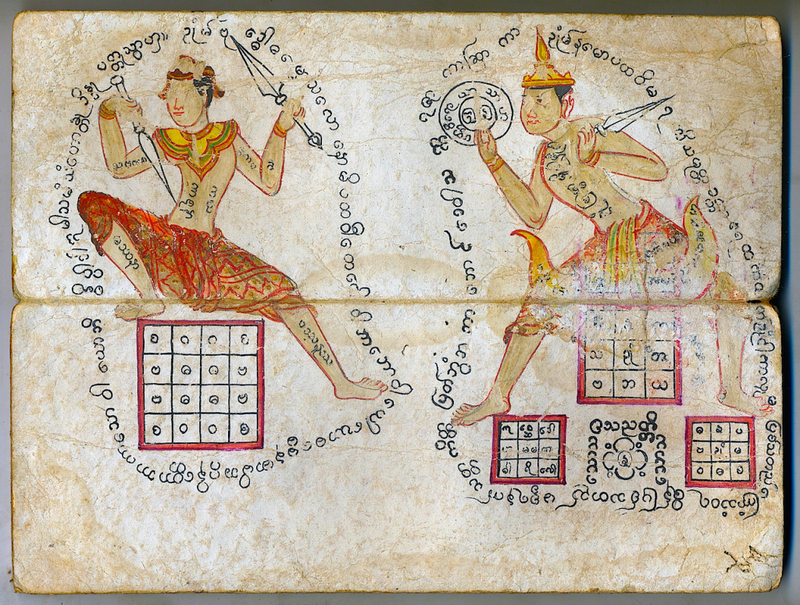 right foot, left foot, not below a certain area… The geometric designs, i.e. 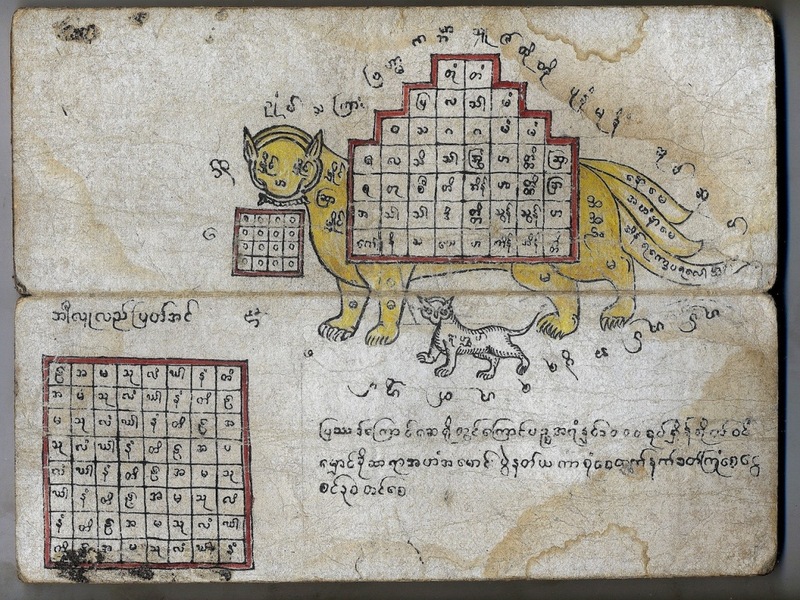 the ones consisting of squares containing letters or numbers that have an astrological component. 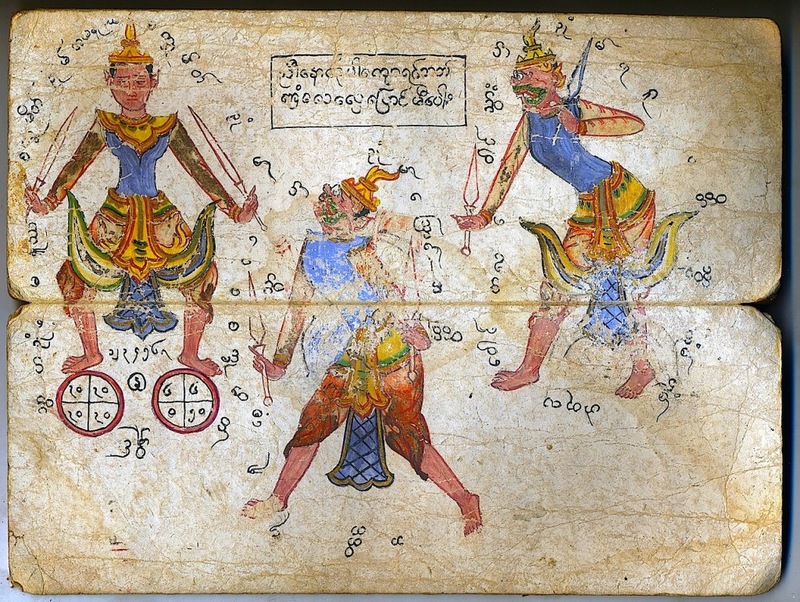 Many of the spells are charms that bring “30 benefits” and protect the tattooed person from swords, knives, gunshots, cannons, snakebites and other dangers. 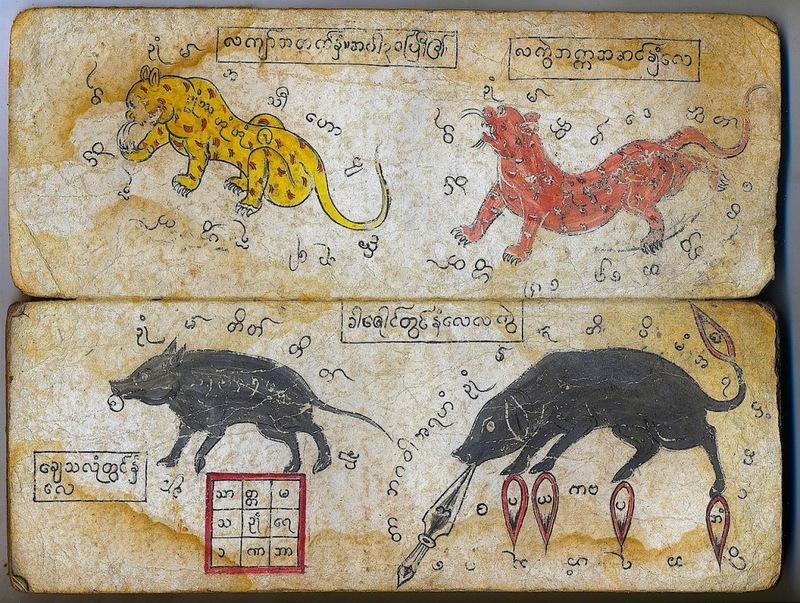 Others are evil spells and are meant to protect one from potential enemies.